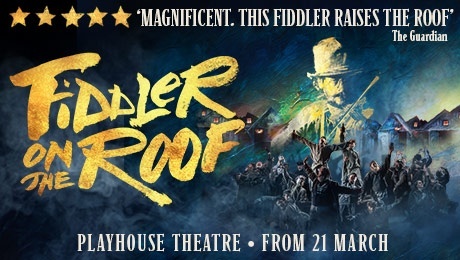 Trevor Nunn’s sold out revival of FIDDLER ON THE ROOF which is running at the Menier until 9th March is transferring into the Playhouse Theatre where it opens on 21st March and is currently booking until 15h June. The theatre will be specially transformed into an immersive space, matching the staging at the Menier. It will again star Andy Nyman and Judy Kuhn with full casting for the West End production to be confirmed.